Home Arts + Entertainment The Scene Shadowbox Live presents Dirty Little Secrets! Opening TONIGHT, Shadowbox Live presents Dirty Little Secrets, a rock ‘n’ roll and comedy sketch show that is sure to bring out your darkest desires and secrets. Comprised of eight different sketch comedies, Dirty Little Secrets will make you blush and double over in laughter. The show opens the floor to all things crude, inappropriate and isn’t afraid to air your dirty laundry. With showings from March 28 to June 8, there is plenty of time to bring your spouse, significant other or best friend for a daring and dramatic night. Showtimes run select Fridays at 7:30 p.m. and select Saturdays at 7:30 p.m. and 10:30 p.m. Click here for a full schedule of performance dates and time. Tickets start around $25 and are available for purchase at the Shadowbox Live Ticket Box Office (503 S. Front St.), online at www.shadowboxlive.org/shows/dirty-little-secrets or by phone at 614-416-7625. Each show is a mix of rock ‘n’ roll, comedic relief and live music. Whether its greeting guests at the door, serving food or performing on stage, each staff member is always performing. Rather than other theatres where the action begins once the lights go out, Shadowbox Live guarantees an immersive experience the minute you step in the door. Shadowbox Live is recognized for its wonderful renditions of old rock classics and comedic talent, but it is much more than just that. Through their programs, The Rock Arts and STEM Rocks the Box, Shadowbox Live provides an outlet for young performers to find their inner rock star. They guarantee this through sketch comedy classes and their summer immersive program. The bonus? At the end of each program, students perform live on stage. Plus, Shadowbox Live is officially 30 years old as of 2019. 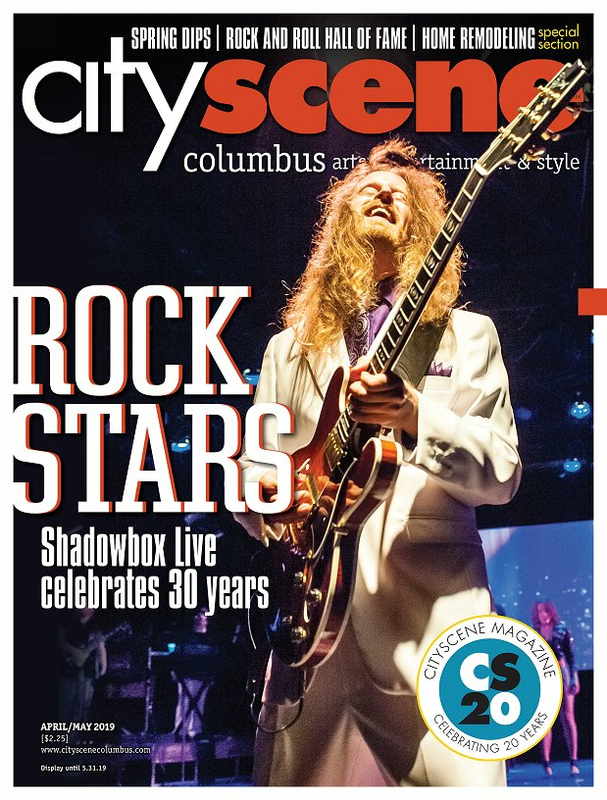 Check out the latest Insight Article from the April/May issue of CityScene Magazine, which outlines the history or the theatre and how it came from a unique idea and grew into a successful venue with original acts. Marissa Smithinsky is a contributing writer. Feedback welcome at lfreudenberg@cityscenemedigroup.com.